Filling out work orders can be cumbersome. We get it. That’s why we provide work order software that will ease the process and ease your pain. Instead of spending all day endlessly copying down redundant information, Smart Service takes the lead by automating your administration. 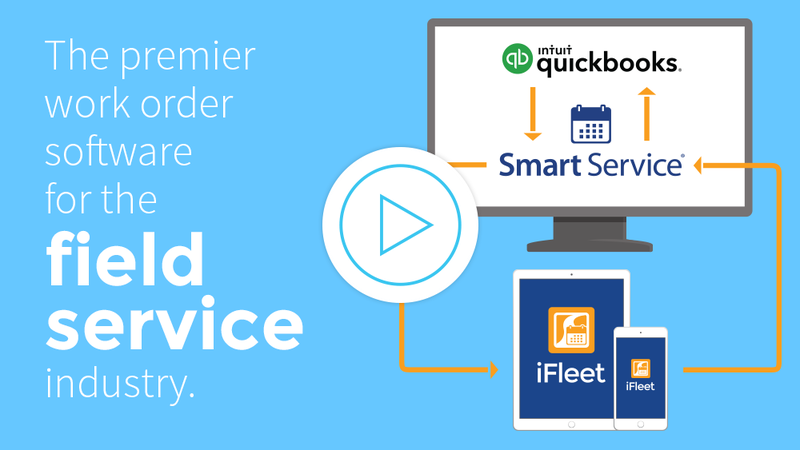 Using records from QuickBooks, Smart Service automatically populates new work orders, making life much easier for you! QuickBooks has been your savior for all your accounting needs. The scheduling stuff? Not so much. That’s where Smart Service comes in. This work order software is an add-on to QuickBooks! You can create work orders using all that information you have on QuickBooks. Type in any information about a customer and the rest fills itself in. You can even use equipment you have on QuickBooks to add items to your job. And because QuickBooks and Smart Service go together like peanut butter and jelly, you can then use that work order to create a billable invoice. Learn more. When you use the Smart Service software for work orders, you don’t have to waste time creating invoices anymore. Gone are the times when you had to recopy all the information from a dirty sheet of paper. Your technicians and dispatchers will add items while they work, meaning you won’t have to recopy what was done after the job is complete. Even their time and hourly rate can be counted as they go! Just post the job to QuickBooks and your final bill will be there and complete. Learn more. The best part of this software is that it doesn’t stop at your door. With the Smart Service mobile app, routes, schedules, notes, and equipment information are in the palm of your technicians’ hands (quite literally). When you’re on the go for your business, your business should be on the go for you. Learn more. Smart Service has saved many successful service franchises time and money. Read what some of them have to say! Read more about work orders, field service news, and business tips!